Claudio Monteverdi (1567-1643) has been variously described as ‘standing at the crossroads of one of the most crucial periods in musical history’ and as ‘bringing about the dawn of a new age’. Yet, even allowing for the gush of populist commentators, it remains true that radical changes were coming about in the years around 1600, and he was at the forefront of these. 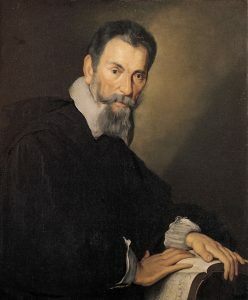 The 1610 Vespers and Orfeo may be relatively familiar, but they are only part of an intriguing wider story, including the emergence of new attitudes towards the setting of text, the invention of opera, and the controlling influence of rich patrons who had strong views about the sort of music they wished to hear. Hence, this course will aim to go beyond the headline works and explore more deeply. Arnold, Monteverdi Madrigals (BBC Music Guide). London, 1967. Arnold, Monteverdi Church Music (BBC Music Guide). London, 1982. Arnold & N. Fortune (ed. ), The New Monteverdi Companion. London, 1985. Arnold, Monteverdi (Master Musician series, 3rd edition). London, 1990. John (ed. ), The Operas of Monteverdi (ENO Guide). London, 1992. Whenham & R. Wistreich, The Cambridge Companion to Monteverdi. Cambridge, 2007. Five weeks, starting 2nd-31st October, 2017. Please book before 18th September.